The company of animals – whether as pets or service animals – can have a profound impact on a person’s quality of life and ability to recover from illness. 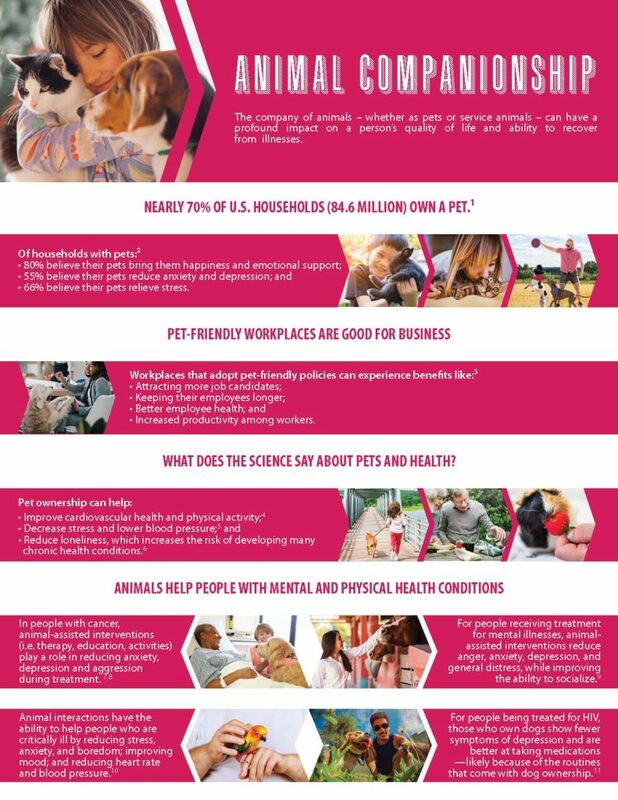 We have joined with our national affiliate, Mental Health America, to bring awareness to the positive impact of animal companionship toward ones mental health. Check out their flier on the subject below and join us on social media @mentalhealthct by posting a photo of your animal companion to our Facebook, Twitter, or Instagram pages and tell us know they impact your health. Be sure to add #4mind4body so our friends at MHA can see all the great photos!